That’s a wrap! Deadline reports Scandal has wrapped production on seventh and final season. The ABC political drama stars Kerry Washington as Olivia Pope, a former White House Communications Director who now runs a premier crisis management firm to handle erupting political scandals. The cast also includes Darby Stanchfield, Katie Lowes, Guillermo Diaz, Jeff Perry, Tony Goldwyn, and Joshua Malina. The series finale of Scandal will premiere on ABC on April 19th. What do you think? Do you watch Scandal? How do you hope the series ends? Scandal: Season Six Could Be the End for the ABC Series? 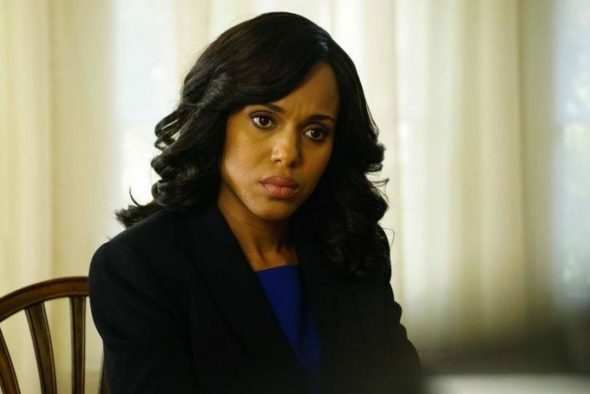 Scandal: Season Six Episode Order Cut; Series to be Delayed by ABC? Scandal: Angela Bassett to Direct Season Six Episode? i watched faithfully for the first few seasons, then i backed off, it got too repetitive. couldn’t handle Kerry walking like she wanted to crack the floor!!! but, i will watch the ending, i hope it’s good .